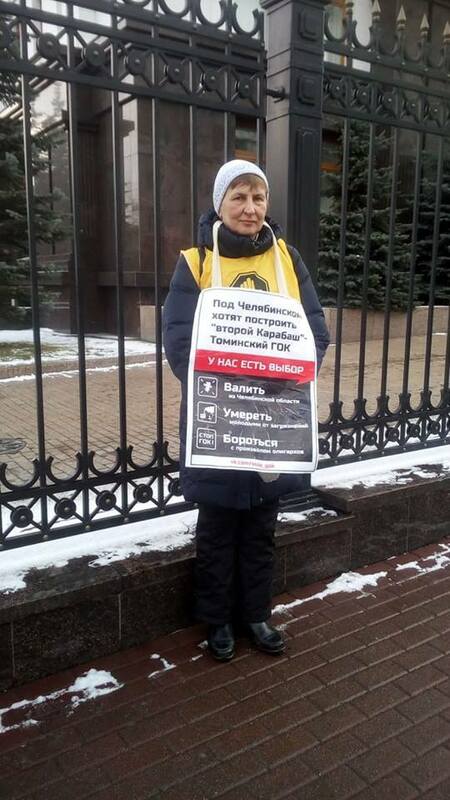 "Today's rally was predetection :) Before you go for the poster and shirt front, checked out, whether at the government building yesterday, a young man who “Mechel”. Worth it. Time – 13.45. Called Darya Popova, waiting in the sidelines, will not leave you. Five minutes later the guy was gone. Passed through the square, saw – is not it. Picked up the bib, and posters up. After a short time the alternative picket again appeared. But now he's a violator, because we got up close to the first picket after it. However, just in case I moved to the middle of the building, it is 50 meters between us sure was. Daria was like a friend, talked that he decided to stand there every day from 11.00 to 15.00. Volunteer, yeah. Hour picket went unnoticed. Daria just in case he was nearby. As usual: someone indifferent passes and passes, someone stops and supports someone asks or reads written on the poster. Active at this time were older people, grandparents to be exact. Two God's dandelion suddenly gave out: those who build the mine and power that with them – “gang”. A few elderly asked where you can learn about the protests against Mining. One grandmother spoke in detail about his father, who, born in an uneducated family, not that educated, so still put on your feet, their six children and five orphaned nephews the war – “and all because you didn't give up, you should never give up”. Of course, not necessary. Sad pessimist there was only one: we have, like, all to no avail. I told her that actually in the country not one or two cases of refusal of building hazardous industries because of the protests of citizens and supporters of MCC is only right that people reasoned in this way: we, like, do not depend. The police never arrived. More precisely, drove past a police car, slowed down, looked – and went on."